Our volunteer coaches have nearly a century of combined experience as actual athletes as well as coaching boxing and other youth sports. They have assisted youth in our area through training, counseling, providing opportunities and showcasing the student athletes' accomplishments. Each Coach attends annual Coaching Clinics to maintain certification as a registered coach and trainer recognized by the USA Boxing®. 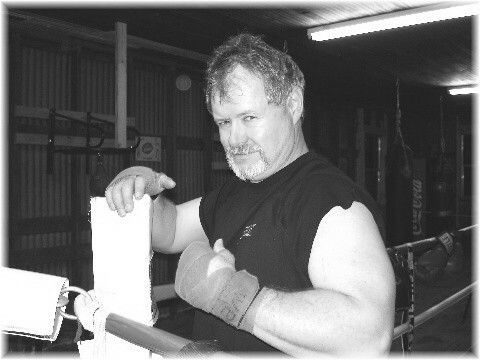 Mark Karpel began his amateur boxing career at age 23 in 1976 with the Victoria Boys Club under the coaching leadership of Frank Torres and was a member of the AAU, one of the governing bodies of amateur boxing at that time. 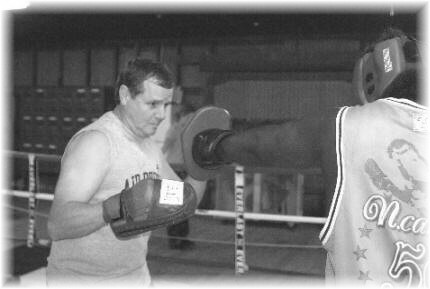 He moved to Corpus Christi in '77 and joined the highly acclaimed Zim's Boxing Club, operated by Bill Zimmatore in Alice, Texas and competed with his Club from 1977 through 1981. 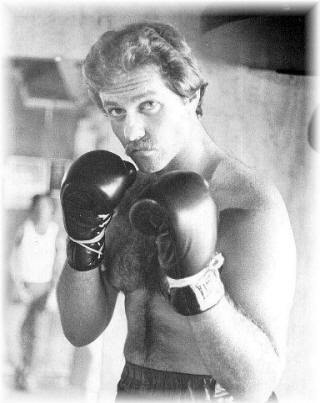 Weighing in as a light-heavyweight, Karpel won the 178 pound open-division at Corpus Christi Regional Golden Gloves Tournament for consecutive years and represented Corpus Christi in the Texas State Golden Gloves Championship held at the Will Rogers Coliseum in Fort Worth. In recent years, after moving to the Newton area in 1985, he concentrated his volunteer efforts as President of the Newton County Chamber of Commerce, a Board Member and Vice-President with the City of Newton Economic Development Corporation, President of the Newton County Recreational Association, Chairman of the Newton County Historical Commission, recognized by the Newton County Chamber of Commerce, along with his wife Susan, as Citizens Of The Year and President of Newton Gym & Boxing Club. Ed Tracy, a resident of Newton for almost 30 years, began his athletic career at Arlington Heights High School in Fort Worth. He lettered in swimming and excelled at long-distance freestyle events. He played 6 seasons of church softball and contributed his skills to help his team win a State Championship. Graduating from Baylor Law School, he began his private law practice at Newton in January, 1981. He was Municipal Judge from 1982 to 1984, County Attorney for Newton County from 1985 to 1996 and served as District Attorney from 1996 to 1998. He remains active in private practice today. Tracy has also served the community as Newton Lions Club President, Newton County Chamber of Commerce President for several terms as Secretary-Treasurer of Newton Gym & Boxing Club and is Master Mason. Always involved with the youth in our area, he has been honored by the Newton County Chamber of Commerce with the "Outstanding Youth Leadership" award in 2002, 2003 and 2004. Along with his wife Sherry and son Paul, they have been skillfully photographing athletic events for Newton I.S.D and Burkeville I.S.D. for nine seasons and published them on their website, www.EdTracy.com, simply for the enjoyment of the student athletes, their relatives and friends. 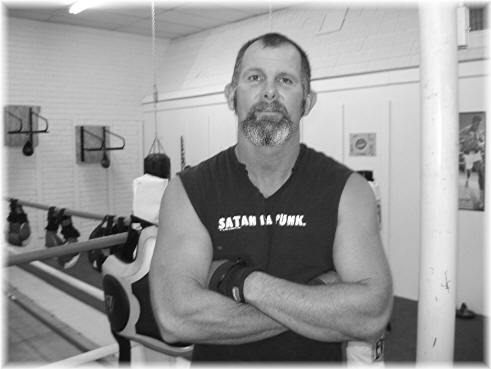 Wes Barrow, a former outstanding Newton Eagle football player and current competitor in the Senior Adult Baseball Leagues, assists all boxers and adult non-boxer members with their individual weight-training program. Coach Barrow owns an independent insurance agency in Newton and has volunteered his time with youth baseball, football and amateur boxing. He custom designs a program to fit every person's needs and skill level. A great asset to the Club, he gives the same amount of attention and assistance to our youth athletes and adults who just want to get in better shape. Norris Treme joined the all volunteer staff to assist our program in 2007. He boxed competitively in the '50's and '60's out of the Beaumont Golden Triangle area. 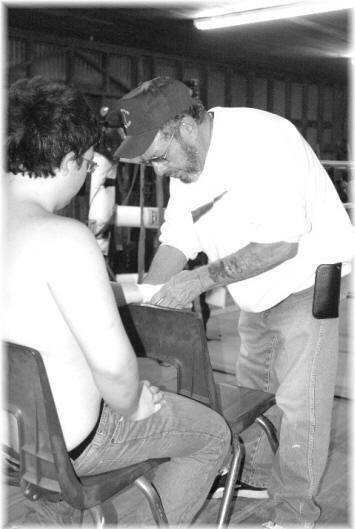 Co-owner of the Nederland Boxing Club during the '70's & '80's, Treme coached many champion amateur boxers who were recognized at the State and National level including Ronnie Shields, 1974 National Golden Gloves Featherweight Champion. Coach Treme retired from Texaco in the Port Arthur area after 35 years of service and relocated to the Jasper area near Sam Rayburn Lake. His years of involvement with amateur boxing is a fantastic asset to all the boys and other coaches at Newton Gym & Boxing Club! Coach Joey Miller joined the Club in late 2008 and has been an outstanding example of dedication and leadership for many months. Joey worked off some 40 pounds and improved his endurance, strength and health. He assists the youth and adults in their strength and health improvement programs and is the group leader for specialized Core Conditioning Drills. Coach Miller is always upbeat and works with other people at their own level of physical fitness. He helps design each members' individual workout program and his reward is watching those members' meet and exceed their goals.